Setting the foundation for the care & comfort Tampa Bay’s residents deserve. When we started out, complete satisfaction was our mission. Now, it’s our company’s tradition. Rob came out today for routine maintenance on my AC unit. I just purchased my house, and had a lot of questions. He was amazing! I unfortunately had some unknown issues with my ac unit, but I am so glad to know that Rob and Cornerstone are upfront and honest, a rare trait these days. I got the gold plan to check my electric and plumbing too. Way better (and less expensive) than my home buyers inspection! Thank you Rob! Daniel N and JP were very professional and kept us informed throughout the installation. The team notified us prior to arriving and arrived at the time promised. They provided us with all of the information that we needed to confidently operate our new A/C system which has a sophisticated control system with many features that we can use to manage our comfort and electric bill. After the job was completed, they cleaned up everything. You would have never known that they were there except for the new A/C. I would recommend Cornerstone Pros to anyone with an A/C need whether it be maintaining an existing system or installing an new system. I wanted to give a big thank you to Pete and Chris for helping me get my outlet installed outside for my car charger. They both showed up on time, Chris even showed up a little early. You can actually track their truck to see how long it will be before they are at your house, which is pretty cool, as I haven't seen that from any other company. They were very professional and did a great job with the location of the outlet too. 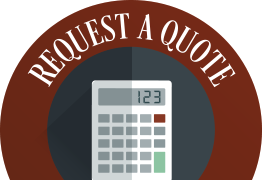 Incredibly prompt in providing a very competitive estimate. Everyone that I've been in contact with has been delightful. Rob was very personable, honest and knowledgeable. Angie, very polite, responsive and professional. Kudos to Cornerstone for having an engaging hold message, I learned of their plumbing and electrical services through this avenue. We've scheduled our plumbing visit for Tuesday! Will be making AC decision by Monday! Angie on the phone and Gary Capes the repairman BOTH did an outstanding job.Angie called in advance to explain details. She was super polite & clear.Gary was on time, explained what he was doing, gave me options, answered all questions and did a terrific job. He has 30+ years in plumbing & knew all the answers. My toilet works like a charm. In addition, he was kind enough to attach the chain to the flapper which had come unattached in my other toilet.I will be using Gary always in the future! Called late on a Tuesday and received a Wednesday morning appointment. Rob, the tech who arrived, was very polite and professional. He put on shoe coverings as he entered my home to prevent dragging in dirt on his shoes. He was able to setup my new smart thermostat to have it work its best with my AC heat pump system. He also did a thorough system check and confirmed it was all up to par. I would recommend Cornerstone Pros for all of your heating and cooling needs. Everything went perfect from start to completion with the service and repairs needed. I was able to obtain an appointment quickly, the technician (James G.) was here right on time and explained the whole process and what the problem was. My heating repairs were done about a month ago , but I wanted to wait until I needed to use the heat again several times to test it. Well, it is 37 degrees outside in Tampa right now, but my heating system is working perfectly inside. Thank you James G. and Cornerstone for the quick and efficient and professional service and I will surely call you again the next time I need your expertise. We had a leak somewhere in our kitchen...the cement between our tiles were damp. We thought that maybe it was the waste line. I called Cornerstone and spoke to Angie who was incredibly friendly and scheduled us for the following day (today) between 8am and 12noon. Danny and Mark showed up at 9am and found the leak right away, not at all where we thought it was. It was a cold water line leak which Danny showed to us. We didn't even realize how soft the sheet rock was. He cut a small neat square right where the leak was and repaired it. And while they were here we had them replace our broken garbage disposal. They were knowledgeable and professional. This company never disappoints...Thank you Cornerstone and thank you Danny and Mark for your friendly expertise. Reasonably priced too! Josh was very thorough in his service for the ac unit.He explained what he did and gave recommendations from the numbers he obtained according to the input the unit was giving. His manner was courteous, professional and he exuded confidence in his job. Very satisfied with his service and the company itself.Gary has a very professional demeanor. He was very methodical in his inspection of the plumbing. He provided estimates for the future. Very well pleased with his service.Rory inspected all the electrical outlets including the electrical panel. He was very meticulous as he went throughout the whole house. He went the extra mile to figure out why one of the outlet was not working and fixed it right then and there. He conducted himself in a professional manner. Overall I am very pleased and satisfied with the 3 technician that came to my house. Will keep using Cornerstone . They are a very professional company. Awesome company! Called in a panic after another company was a no show and they sent a tech out the next day. Kevin was on time, courteous and explained everything fully. He was even super friendly to my two year old and completely understanding when my dogs wouldn't stop barking. He emailed me a detailed receipt (including pictures of the work) just an hour after completing it. The price was higher compared to other places I called, but I'd gladly pay more to receive such awesome customer service. I just had a service call because my compressor would not start even though the air handler was running fine. Brandon, the service technician, arrived exactly on time and performed a quick diagnosis and fix. The best part was the detailed explanation that he took the time to explain why the system worked the way it did. I'm now a more educated and satisfied customer. JP and Daniel did another great job for us today! Very polite and efficient. They got the needed work done in a timely manner and explained everything thoroughly. They made a difficult project seem so easy! We are very glad to be Cornerstone customers. Cornerstone Pros contacted me to set up appointments for my periodic inspections of A/C, plumbing, and electrical items. Their employees are all very knowledgeable, helpful, and respectful. Martin walked me through the various options to renewing my level of services provided. I have always had great service from Cornerstone and recommend them very highly. My field service, Josh S., did a super job explaining the details of what he would be doing for my A/C inspection. Josh was quick and did a super job! He even gave me advise on when I should be changes my filters!Hannah G., scheduled my service and kept me informed on all the need information. Thanks Josh and Hannah for making my experience with CORNERSTONE a GREAT ONE! Cornerstone Pros did an amazing job re-piping our home. They came in with a plan, walked me through step by step to make sure i was okay with all that had to be done. Danny (My technician) was extremely polite, and answered all questions and concerns i had. They were in and out in three days. Danny made sure to test everything for me, and make sure i was satisfied. He even cleaned up, and vacuumed the kitchen and bathrooms once the job was complete. I would recommend this company to anyone needing plumbing assistance. As a new homeowner (just past warranty period), I was feeling a bit overwhelmed when I heard a drip coming from underneath my bathroom sink in the middle of the night. A Google search for plumbers in my area gave me a list that included Cornerstone. I'd seen their vehicles on the road and figured they were at least worth a call. I was pleased with (and relieved by) their promptness, professionalism, and courtesy from start to finish. Although I don't want any more plumbing problems, I know when I do encounter another drip, I'll be in good hands with Cornerstone. Thanks for taking care of things for me. We had an emergency due to a water leak in our front yard. We called Cornerstone Pros. and were very happy with the quick response. Reese was our service tech. He was very knowledgeable and respectful. He gave us our estimate and arranged for the crew to come in and do the necessary work. Our problem was resolved that afternoon. We will definitely call Cornerstone Pros. in the future. Ronnie M was just here, did a thorough AC inspection and found I needed new capacitor. I also decided to get a new Start Kit installed, he explained it all in detail and went right to work. I would recommend Cornerstone and Ronnie for any of your AC needs. Very personable young man! Pete performed our semi annual electric checkup and was very good. Checked everything methodically and made sure all was in order. Very friendly and knowledgeable. Excellent employee. 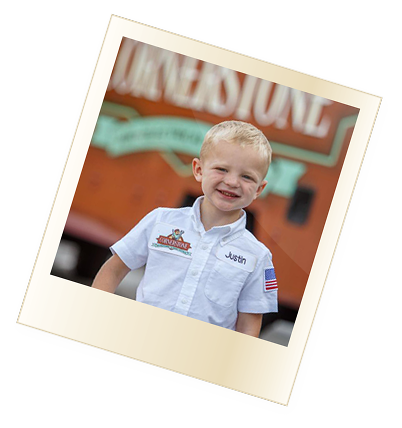 Our experience with Cornerstone was very positive. They called first and showed up on time. The team member who came to our home was polite, professional and efficient. We recommend them and we will certainly call them again should the need arise. Needed some plumbing work. Very satisfied with the work which was done for a fair price. Reese who did the work is very competent and explained the work being done.HAD MY SEMI ANNUAL AC CHECK DONE BY CORNERSTONE. ROB, THE TECHNICIAN, DID A VERY THOROUGH JOB AND EVEN CHANGED THE AIR FILTERS AND THERMOSTAT BATTERIES. CORNERSTONE IS A GREAT FIRM TO DEAL WITH FOR YOR AC, PLUMBING, AND ELECTRIC NEEDS. Daniel N. and JP installed our new a/c unit. Both were professional and courteous. They arrived on time and began task promptly. Upon completion, they were informative on what they did and explained the operation of our new equipment. We were satisfied with the overall experience. Would highly recommend them. Daniel and JP were my Installation Techs. They were very polite and professional, and did a very thorough job. They were delayed by hard rain and stayed well past when they should have left to complete the install, and cleaned up very well before they left. Daniel emailed me the receipt and Permit Inspection requirements with photos of the completed job. I also talked with Pam and Stephanie at the office, and they were very responsive and helpful, and called me back immediately with answers to my questions. 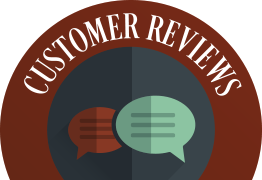 My only regret is I got other written estimates only after I committed to Cornerstone, and some prices were better, but the company has a very good reputation and after speaking to the Service tech initially ( Robert) , he convinced me it would be beneficial , based on their track record, and experience. I trust they will not fail me in any way . We have used Cornerstone for our AC needs for almost a decade and have always been very impressed with the quality and friendliness of their technicians. We really love their new tool that lets you see EXACTLY where the technician is on their way to you. No more waiting and wondering when they will get here.They have now added plumbing and electrical to their services so when we had 2 clogged drains they were the first one that we reached out to. Martin showed up and he was nothing short of phenomenal... so friendly and patient with all of my many questions. He gave me lots of ideas to save money on some of our other plumbing concerns such as getting back with the manufacturer to replace a failing faucet first rather than buying a new one and getting back with the contractor that installed our shower to have him make the corrections we needed under the warranty that General Contractors provide.He was very efficient and had our issues fixed quite quickly. He also shared some ways to save more through their maintenance plans. 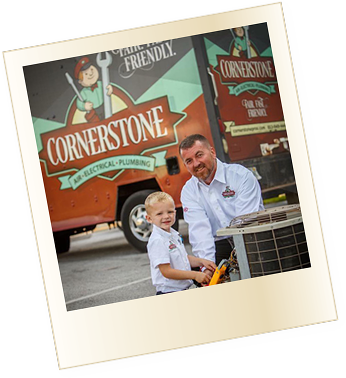 We found them to be a pretty good deal and signed up for one that includes regular inspections of our AC units, electrical and plumbing as well as discounts on trip charges and parts costs.My wife and I highly recommend Cornerstone. They have always been our go to... and they do not break the bank... or even try to. Martin was awesome, super nice. Did everything he needed and let me know the whole way. Gave me lots of great info, made sure I knew where basic things were or how to turn them off. Gave me great info about service and product costs. No sales pitches, no fluff. Just gave me straight answers, answered all my questions no problem. Very happy I have gone with Cornerstone twice and have a 3rd visit already planned with the electrical side! 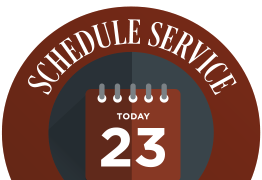 We had a couple different services from Cornerstone, electrical and plumbing.Both Pete and Gary were great.We had to cancel our first appointment. Not a problem.After re-scheduling, they sent an email to confirm and then again on the day of the appointment.Both techs called us when they were on the way.Each of them helped identify a problem my other handyman had missed.Very professional. Gave me options. Didn't mess around. Great guys.We also have an AC contract with Cornerstone. they've been terrific each time we've called. Recently had Cornerstone provide a plumbing inspection benefit through a service plan I have from a previous service. Reese came out and did a fantastic thorough job of inspecting the house. He educated me on so much that I needed to know as a homeowner and then provided estimates for the future work I'll need done to bring my old house up to date. All estimates fit within researched and expected costs. I've been so happy with the quality of work that Cornerstone is my go to team for AC, electrical, and plumbing. Highly recommend! Everyone was Great Pam called right away. Dispatched the tech and called to notify me he was on the way Martin was professional and did a fantastic job. He kept us informed he walked us through what he was going to do and let us know the cost upfront. Our plumbing is freely flowing again. Very happy with cornerstone plumbing. Will not hesitate to call again! Typical Florida day - hot and muggy. Of course, that's when A/C issues are bound to occur. Came home from shopping, see water dripping from garage ceiling - oh, boy -here we go!Checked drain outside, it is flowing - slow; but flowing - obviously too slow and something is clogged. Called Angie at Cornerstone. Polite friendly and concerned. She was able to get me scheduled quickly, and shortly, Michael the technician appeared. We quickly reviewed the problem - discussed what I had seen and done and within a few minutes he was able to locate the cause of the problem. He cleared the blockage at the coil drain and also cleared the pan drain & line out and was done in minutes. KUDOS to Angie & Michael and thank you for your usual excellent service! Hanna got us setup on call for first available right away. Then I was sent a detailed text when the technician was dispatched that even included picture I.D. Reece got here quickly, was very polite and let me know their rates right away. He diagnosed and fixed the problems quickly and at a fair price. I will definitely use them again and highly recommend them for you plumbing needs. Great job repairing my air conditioning unit. Service was thorough and completed in a manner that exceeded expectations. Technicians arrived at time designated, was personable, knowledgeable and overall very professional. It is difficult to find now days technicians and companies that provide such outstanding service like Cornerstone Pros . Scott was very nice and he explained everything in detail. He even told us about a few issues that we had with the system. We've only been in our new home 2.5 years and the ac has been having issues since the beginning of the year. Thanks to Scott we received a new thermostat and it's back cool in our home again. Thanks Scott for all your hard work and coming out so late. I recommend Cornerstone! Our AC stopped working on Friday, so we called Cornerstone on Saturday afternoon and were able to get a tech to come out between 8pm and 1159pm. Daniel M was our tech. He called when he was on his way and arrived as scheduled. I told him what the problem was and he immediately understood what I was trying to tell him. He fixed the problem that there appeared to be with the inside unit and went outside to check the main unit. He suggested that we put some Freon in the system based on the problem and told me the cost up front. After about 10 minutes he came back inside and said that the system would not take any Freon and there may be a problem with our blower. He suggested we ride out the night and see if the system cools. He said if it does not cool try turning the units off with the breaker for 10 minutes then turn them back on to see if the system resets. If that does not work he said give them a call Sunday. Also, the service charge is good for 30 days. Which means If they come back out we only pay for labor or repairs. Daniel M was very nice and professional. He came in got the job done and was knowledgeable. I was very comfortable with him in my home and would definitely recommend cornerstone again. Thanks for coming out so late KUDOS TO DANIEL M.
I have been a customer of Cornerstone for about 10+ years. Like any business, you have varying degrees of service levels with knowledgeable people. Today was an exception! Alvino M. was the technician doing a maintenance check on our AC unit. By far one of the best, most informed and professional employees that I have met with Cornerstone. He took time to review what he found, and based on information I shared with him some solid recommendations. No high pressure sales approach. It was easy to see he is very passionate about what he does.Angie, the office staff member is always professional and friendly. She is responsive to your concerns and follows through as she says she will! Very pleasant experience today!!! I would recommend this company be one of the first that you call. 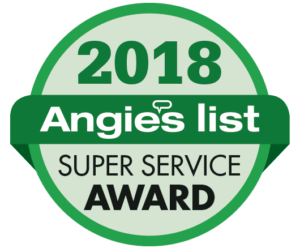 They do everything they can to provide you with the best and most professional service.We had them install our AC, and when it needed work, they quickly resolved the problem. The only reason that I cannot give 5 stars is because a technician recently gave us a misquote, and the prices were a little steep on a recent job. That being said, the company has been very understanding in this matter and has gone out of their way to try to resolve this problem. If you need quick and reliable service at (usually) reasonable prices, then you cannot go wrong with Cornerstone Pros. We have been pleased with the service we have received from Cornerstone for the past four years. Most recently, we had Pete T install 2 coach lights on the front of our garage. He and his assistant were very friendly and congenial. They seemed very confident in their work and did a very good job. We would recommend them and cornerstone electrical services. I spoke with Daniel N. on Chat to request service. Mandy called and connected me with Shelby for scheduling. She explained what to expect when they send someone out. James W. arrived right away at the beginning of the 4 hr window. Everyone was very polite and very professional. All were well informed and gave great quality service not to mention a great price. I had the pleasure of working with Gary Capes on May 10 when he arrived to check out my home's plumbing system and drain the water heater. Gary is knowledgeable, courteous and personable. He showed me the location of shut-off valves and explained his steps along the way as he inspected all the plumbing. Gary also adjusted the water level in one of the toilets and answered my questions as he checked each room. My home had nothing to repair at this time. I appreciate his straightforward responses and his attention to customer service and look forward to working with Cornerstone in the years ahead. Had an AC issue and found Cornerstone on the internet. They had GREAT customer feedback and I noticed that they offer a military discount, so I called! James was at my house within 4 hours and I couldn't have been more pleased! Not only was the young lady that answered the phone one of the most courteous people I have ever talked to at a business, James was amazing! He answered ALL of my questions (and there were a lot of them) and he fixed my issue, with a smile on his face!!! Cornerstone is a one stop shop with great people that know what they're doing and that know how to treat their customers! I was so happy, I signed up for the PM program! Thanks James!!! Entire Staff that we spoke with, from Ryan in the Office to Rob W @ our initial appointment, as well as Daniel N and J.P. on the day we had our new air-conditioning system installed; provided excellent service. They were all very professional, courteous & knowledgeable. We were impressed from the start with the communication, the text message/picture & ETA of Technicians. We had all questions & concerns answered; we actually learned a lot during this experience. Richie & I would not hesitate to recommend your company or use them again moving forward. We use Cornerstone Pros for all of our home needs, and today it was for Electrical. We had a breaker that kept flipping every time we would use the outlets in the room. My husband thought the breaker just needed to be replaced, but since we do not have alot of experience with electricity, we called Cornerstone right away to schedule an appointment. I called at around 10:00PM, and a few minutes later, we had an appointment scheduled for the next day. The same electrician, Terry H, who has serviced our home before was the one who provided the service today. We are super thrilled he was the one who came again as he knows our homes history. That just adds a special touch to the service, and makes us feel more comfortable as homeowners. He is very knowledgeable, friendly, and upfront about what is going on. The issue was fixed within minutes, and we were more than thrilled! Super glad we decided to call for peace of mind and now we no longer need to worry about this! Kiel was very professional and honest. Very personable and did the job with perfection. He also helped us make sure we were getting the best for our money. I would highly recommend Cornerstone Pros, and especially Kiel! Our A/C system needed some repairs, an a very deep and complete cleaning, which include every part of the system. The work of the technicians Larry F. and Jan M. was excellent and done in a very professional way.Very important the company CORNERSTONE PROS always send you a picture of the technicians that will visit your home the same day. Highly recommended! Matt C was our technician for our routine AC Maintenance, and he came out today. We were more than thrilled with his thoroughness, service, and the work performed today! We also appreciate that he was the same technician that came out for our first AC maintenance when we moved into the home. It makes us feel better since he already knows any issues or work we had done previously. He performed the maintenance, and noticed mold growing in our downstairs unit; and notified us promptly with his findings. My husband has severe allergies, asthma, and other respiratory problems so this was critical to take care of right away. We had him install the UV Light System downstairs (we already have one upstairs), and were very pleased with the outcome. We now have piece of mind that our air quality will be top notch thanks to Matt C and Cornerstone! We will not go anywhere else for these services! We’ve lived in our house for over two years and finally got around to getting the AC checked out and tuned up. I’m glad we called Cornerstone. Rob W came out and did an amazingly thorough job. We found out the unit was extremely low on refrigerant and some other issues. He presented options for repair / wait and see as well as system replacement. No pressure no hassle and no shaming. After a few hours I decided to move forward with system replacement. We just paid a ton to redo our kitchen so the fact they offer financing options really helped make it an easy decision. Thank you. Martin and Austin came out and performed incredibly well. They did a flame repair for literally half of the cost than another plumber had estimated. The professionalism exhibited by Martin was second to none I have experienced recently and I am so glad to have met both men who came out. The office staff were all very pleasant. I spoke with gennine, Angie, and I believe a Ryan as well and they all had great customer service and friendly guidance for how to move forward. I also spoke with Miguel about some pricing options for a repair and when I called back they were adequately noted in the file for me to benefit from. Will recommend! As a project manager in the area, I will certainly use them again. Thank you! As a homeowner, you crave total home comfort. At Cornerstone Pros, our certified technicians are committed to helping you attain it. From combining innovation with our old-school values to offering reliable, 24-hour emergency service, you can trust us to continuously deliver on the promise we made over 50 years ago—to restore our clients’ comfort quickly, unfailingly and affordably for absolute satisfaction day and night. With us, your peace of mind is just a call away. 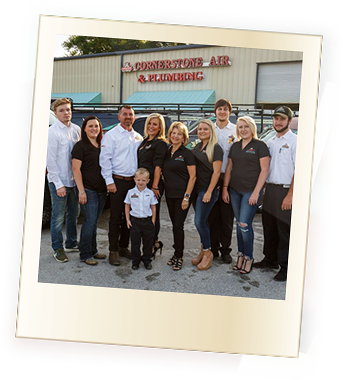 At Cornerstone Pros, our team is dedicated to keeping homes and businesses across the Tampa Bay region comfortable—no matter what. 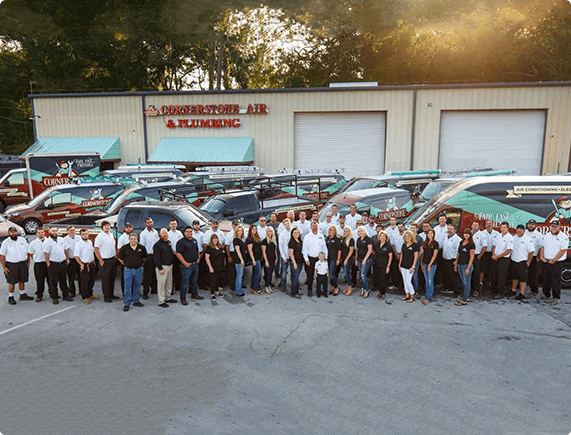 In fact, it’s the reason our company has become Florida’s choice for trustworthy and comprehensive residential and commercial electrical, plumbing and HVAC services. It’s clear that beating Florida’s sweltering heat demands a powerful cooling system that delivers chilled relief year-round. Well, as a Tamp Bay area resident, you’re in luck. Cornerstone Pros’ team offers dependable air conditioning services to keep your system running efficiently and your home comfort steady throughout cooling season. Even though Florida doesn’t get as cold in the winter as some other states, we still experience cool temperatures. So, from a heating system installation in Land O’Lakes to a furnace repair in Brandon, you can trust Cornerstone Pros’ team to keep your Florida home cozy on those breezier nights. There’s more to achieving complete comfort than just finding the right temperature. Your home needs a healthy indoor environment, too. Well, with Cornerstone Pros’ rigorous indoor air quality services, our specialists will effectively remove harmful airborne contaminants from your home’s air and surfaces for a breath of cleaner and fresher air—every time. Nothing drains your contentment quicker than faulty or insufficient plumbing systems. Thankfully, Cornerstone Pros’ team has the expertise to flush those worries down the drain, leaving your home or business’s systems operating at peak performance. It’s time to take comfort into your hands. To schedule a no-obligation installation estimate, speak with a specialist or request immediate service, contact us today! Explore timeless tips, tricks, advice & more in our blog. Are You the ‘Bud’ of Your Energy Bill’s Jokes? Looking to Save a Few? Just $49.95 for a plumbing tuneup with water heater inspection and flush! Must present coupon. Cannot be combined with other coupons--one per visit. Only $29.95 to inspect your plumbing system. Have peace of mind that your water lines, pipes and drains are reliable. Must present coupon. Cannot be combined with other coupons--one per visit. Only $50 to inspect your home electrical system. Ensure your family is safe. Must present coupon. Cannot be combined with other coupons--one per visit. Only $29.95 to tune up your air conditioner this spring Must present coupon. Cannot be combined with other coupons--one per visit. Must present coupon. Cannot be combined with other coupons--one per visit. 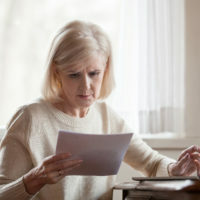 AC, Heating, Plumbing or Electrical Must present coupon. Cannot be combined with other coupons--one per visit. On New 15 SEER or Higher AC System, with approved credit Must present coupon at time of installation. Cannot be combined with other coupons--one per visit. New AC system, Air quality inspection, Ductwork replacement, Water heater replacement, Plumbing whole-home repipe, Water treatment & purification, Electrical panel upgrade, Whole-home generator Must present coupon. Cannot be combined with other coupons--one per visit. With approved credit Must present coupon. Cannot be combined with other coupons--one per visit. Air, Plumbing, or Electrical. Mon-Fri 7am-7pm Must present coupon. Cannot be combined with other coupons--one per visit. Daikin Brand Energy Intelligent Indoor Comfort Equipment 12-year warranty and 100% satisfaction guarantee. Applies to qualifying Daikin equipment. Sign Up for Our Email Today!